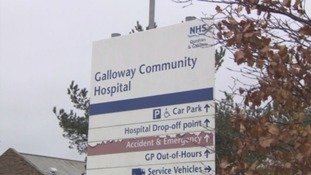 Galloway Community Hospital in Stranraer was found by inspectors to have a good level of cleanliness and safety. Cumbria Partnership NHS Foundation Trust are encouraging those suffering with depression and anxiety to turn to services available to them. A hospital in Peebles has been closed to admissions, due to a number of patients experiencing gastrointestinal (GI) symptoms. NHS Borders says the measure at Hay Lodge Hospital is a precaution, and that routine visits are strongly discouraged. Relatives and carers are asked to carefully consider their visits, and the general advice is to stay away from any hospital ward if you or anyone in your family has experienced symptoms of diarrhoea and/or vomiting in the past 48 hours. Primary One pupils with decaying teeth are more likely to have multiple teeth affected than those in any other region. The Eden Valley Hospice cares for people with life-limiting illnesses, and their families. It needs almost £4million a year to cover costs, but their donations dropped after Storm Desmond three years ago.